Mike is a 30-year veteran of the occupational health and safety industry, having served in a range of capacities from account development and sales leadership to product innovation and executive management. He is considered by many as one of the most influential people in the eLearning industry, further adding to his legacy with the recent acquisition of a market disruptive training and technology company. 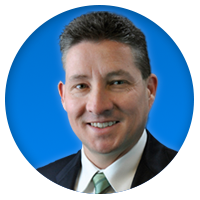 Previously, Mike was Executive Vice President, General Manager at PureSafety (UL) where he drove exceptional growth – earning the company a spot on Inc. Magazine’s “Inc. 5000” as one of the fastest growing companies in America. His reputation for building strong teams, executing quickly on research and development initiatives, and developing industry thought leadership has contributed to positioning Driver’s Alert for industry-leading revenue growth over the next several years. 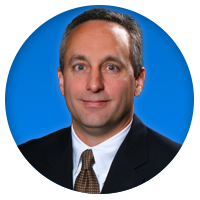 Mike holds a Bachelor of Science in Industrial Distribution from Texas A&M University. In a career spanning more than 25 years, Bill has partnered with thousands of organizations globally, helping them maximize their use of software, technology, and eLearning content and services to improve employee engagement, promote positive behavior changes and comply with ever-changing regulatory requirements. His dedication to high-quality, hands-on customer service has benefited organizations in the form of significant risk reduction, revenue and profit preservation and growth, and brand protection. Bill is an executive-level leader with a demonstrated track record of building, developing and directing high-performing sales teams that consistently produce accelerated growth. 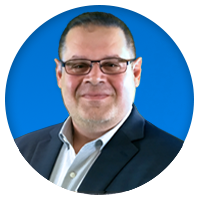 At Driver’s Alert, Bill is responsible for overall sales strategy and execution, revenue growth, customer acquisition and retention, and ongoing development of individual sales team members. Bill holds a Bachelor of Science in Psychology with an emphasis on Organizational Development from Pennsylvania State University. Veronica joined Driver’s Alert in 2014. She is a veteran of process management, having developed these skills as an account manager and consultant early in her career. Over the last several years, Veronica’s pioneering work in developing custom applications for managing vendors, assets and customer relationships has translated into game-changing savings for organizations such as Philips Healthcare (member of development team responsible for implementing first Salesforce.com instance), Nissan and PureSafety (UL). At Driver’s Alert, she is responsible for implementing sales and customer service processes that streamline workflow, increase productivity, and improve data management — occasionally even authoring articles on the case for fleet safety. 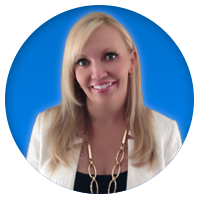 Veronica is an authority on Salesforce.com and holds a Bachelor of Arts in Psychology from Concord University. With 35 years of experience in the occupational health and safety (OHS) industry, Ron is a true icon — having published a variety of articles on OHS, risk management and hazard communication that have appeared in leading trade journals such as Occupational Health & Safety, Safety + Health, The Journal of Workers Compensation and Safety Matters. He is also the developer and author of the National Fire Protection Association (NFPA) Haz-Mat Quick Guide, coauthor and editor of Pestline®, and coauthor of The Material Safety Data Sheet Handbook. Currently, Ron serves as Chair on the NFPA-704 Committee on Classification and Properties of Hazardous Chemicals Data, and is on the Board of Directors for the Tennessee Safety & Health Congress (TSHC). He also served three terms as President of the ASSE’s Middle Tennessee Chapter and was nominated by them as Safety Professional of the Year. Ron is also a member of numerous organizations including the American Industrial Hygiene Association (AIHA), American Society of Safety Engineers (ASSE), American Society for Training & Development (ASTD), National Safety Council (NSC) and Society for Chemical Hazard Communication (SCHC). At Driver’s Alert, he operates as the go-to person for anything related to strategic business development and functions as the company’s principal subject matter expert (SME). Ron holds a Bachelor of Science in Chemistry/Pre-Medicine from Middle Tennessee State University, and a Master of Science and Doctorate in Occupational Health & Safety from LaSalle University. Rich is accountable for building and managing both the Driver’s Alert and LMS Courses brands. In this role he employs a variety of tested as well as experimental methods to maximize market awareness of the Driver’s Alert and LMS Courses product portfolio. 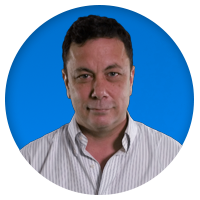 Rich brings a distinctive blend of extensive practical experience and rigorous academic training within the marketing discipline that has helped him successfully implement a wide range of tools within the areas of promotions and market research. An advocate for and practitioner of content marketing, Rich has built a reputation for designing and applying innovative methods that establish brand leadership. 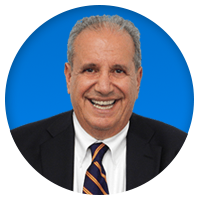 One of his favorite buzz-building instruments is event marketing, which he has utilized extensively throughout his career. In his spare time, Rich hosts the Driver’s Alert Driving Safety Show, a video-based podcast that features interviews with some of the most influential people in driving safety. 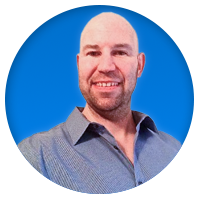 Rich holds a Bachelor of Business Administration in Marketing from Texas A&M University, a Master of Science in Marketing from Clemson University and a Master of Science in Advertising from The University of Illinois. 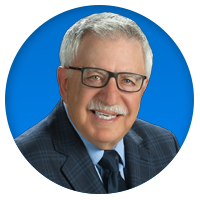 Over the past 30+ years, John has been instrumental in establishing Driver’s Alert as the largest provider of “1-800 How’s My Driving?” services and online safety training programs to commercial vehicle fleets across the United States and Canada. Product innovation, customer service initiatives and business development opportunities comprise a large part of John’s day-to-day involvement at Driver’s Alert. With a keen interest in marketing, he is routinely exploring innovative methods for generating greater market awareness about the mission-critical actions Driver’s Alert is taking to make commercial driving a safer endeavor. John is also actively involved in the local community, frequently investing his personal time and money to provide underprivileged and at-risk children with programs that help them stay in school, avoid gangs, and learn about rewarding career paths. Paul’s expertise and previous work experience in the management of call centers have been keys in establishing Driver’s Alert’s call center as the model of the driver observation industry. His entrepreneurial vision and sales acumen have assisted the company in evolving its product offering from solely a decal-based one to one of the most technologically advanced and cost-effective solutions portfolios in the fleet management industry. In fact, Paul’s passion and customer focus led to the groundbreaking SmartRisk solution. He firmly believes in fleet safety, risk reduction and data management services in North America. Paul’s mantra is to lead, not follow. This mindset has positioned Driver’s Alert at the forefront of industry leaders in fleet safety management, driver risk reduction and fleet data management.